We are only a month a way from one of the superb conferences held in Europe, Experts Live Europe. Being in Berlin the last two times Experts Live Europe takes place this year in the beautiful city of Prague. Why you should attend, if you have not a ticket yet? The answer is easy. Learning from top industry experts, networking, having a good time and making new friends. Most of the experts at Experts Live Europe are attending Microsoft Ignite next week in Orlando. 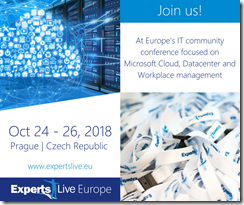 So, you get the most recent news about Microsoft cloud technology in Prague. 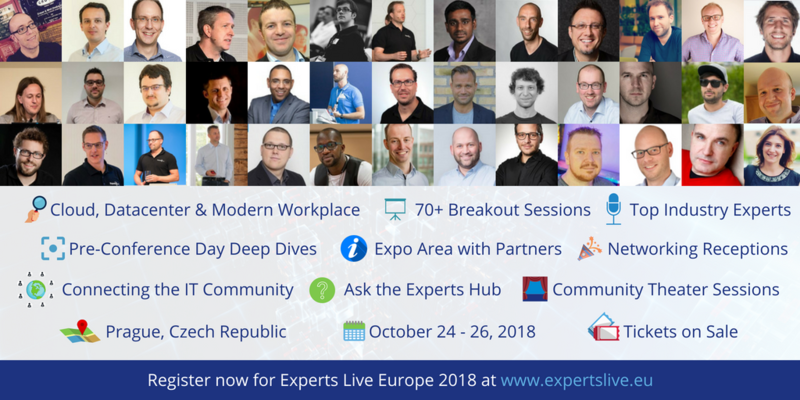 I am super excited and happy to be back the 5th time in a row as an expert at Experts Live Europe. My two sessions at the conference are about Kubernetes on Azure. The first one “Azure DevTest Labs – Connecting the dots with Azure Automation, Logic Apps and Event Grid to deploy Kubernetes in your Lab environment” is about enabling Azure DevTest Lab users to depoly an Azure Kubernetes Service cluster in their assigned and isolated DevTest Lab without further interaction of the IT department. The second one “Manage your Azure IoT Edge deployments with Azure Kubernetes Service” is about managing Azure IoT Edge deployments with Azure Kubernetes Service. So, you can leverage your existing Kubernetes knowledge to bring deployments on edge devices. 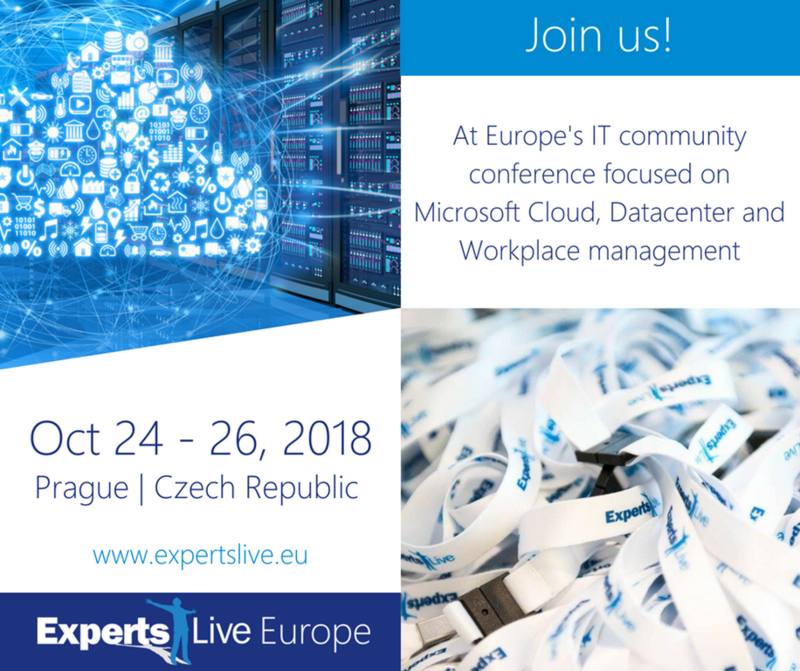 I hope to see you at Experts Live Europe in Prague! This entry was posted in Community and tagged AKS, Cloud, Community, Events, Hybrid Cloud, IaaS, Kubernetes, Microsoft, Microsoft Azure, MVP, PaaS, Private Cloud, Public Cloud on 19. September 2018 by Daniel.